Easy Burning Studio contains many tools to burn data or media CD/DVD, rip audio CD, erase disc, create burn and grab ISO image and all the tools operate in wizard mode. 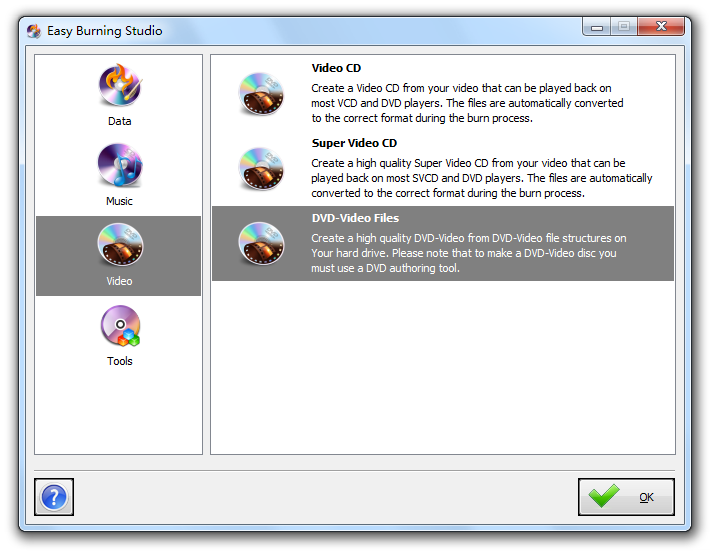 Easy Burning Studio helps you backup your important data, burn video VCD/DVD to enjoy in your disc player, burn audio files to audio CD for your CD player, burn ISO image to discs for data storage and backup and erase disc to reuse the rewritable discs. If you create a video library, store digital photos, collect music files and archive data JetBee FREE is the best solution for all your burning and backing up needs!